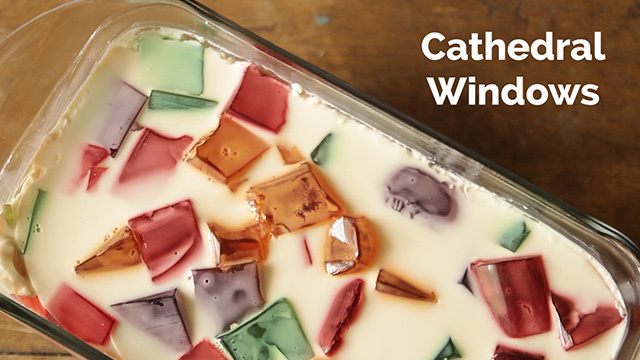 Cathedral windows is a childhood favorite dessert, and for anyone who loves gelatin desserts, it's comfort food. However, if you've ever dismayed about the amount of time and effort it needs to make one from scratch, we got you covered. 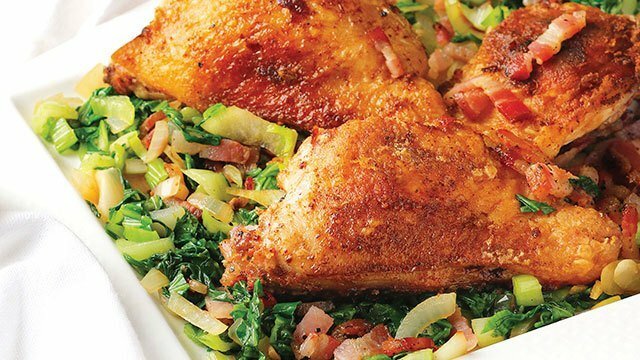 We think this easy and fast version is just as (or even more!) delicious than the traditional ones you can buy at the stores. 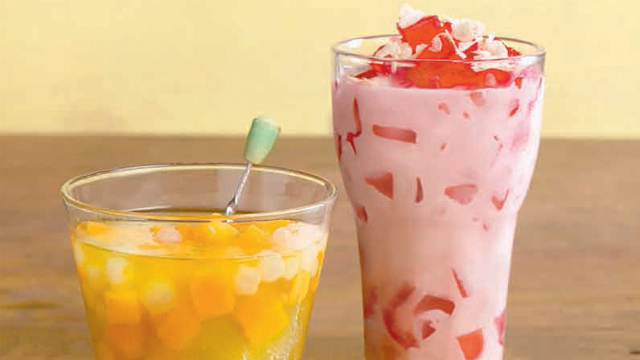 What makes this an easy and fast version is the use of gulaman, internationally known as agar agar. It's made from seaweed and is available nationwide in your local supermarkets and markets. Plus, you don't need a fancy mold. Just use a baking pan like we did or any container that you have. Finally, it's fast because gulaman sets faster than gelatin and it won't remelt. It can be a little tricky for first time users, but if you prepare everything you need before getting started and move quickly, you'll discover this is exactly how we described it: fast and easy. 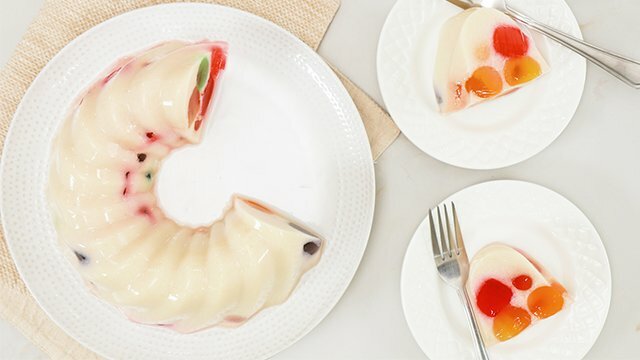 The use of gulaman also makes it easy to transform this Pinoy favorite dessert into a vegetarian, and even a vegan, version. Just switch out the fresh milk for the nut milk of your choice (if you're vegan) and you'll still achieve a creamy, flavorful and colorful dessert that anyone can eat and will love. 1 Prepare 5 plastic containers. Set aside. 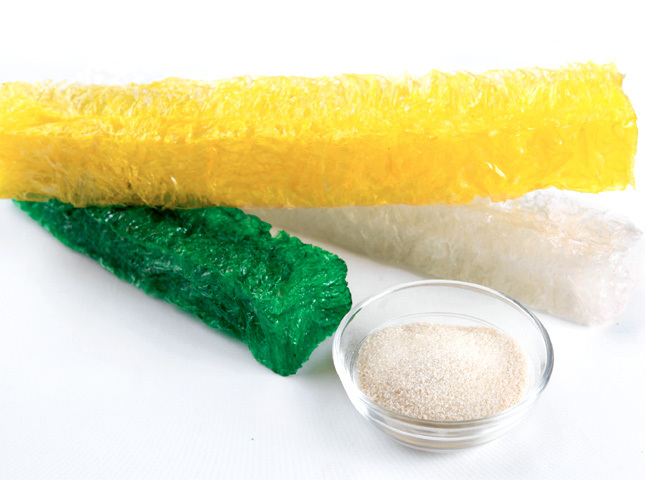 Make the gulaman cubes: In a small saucepan, combine strawberry gulaman powder, 1 tablespoon sugar, and 1 cup water. Stir. Place over a medium flame and bring to a boil, stirring. Remove from the heat and immediately pour into a plastic container. Set aside to cool and set. Repeat with the other flavors of gulaman until each is cool. Using a sharp knife, slice each flavor of the gulaman into large cubes and small cubes. 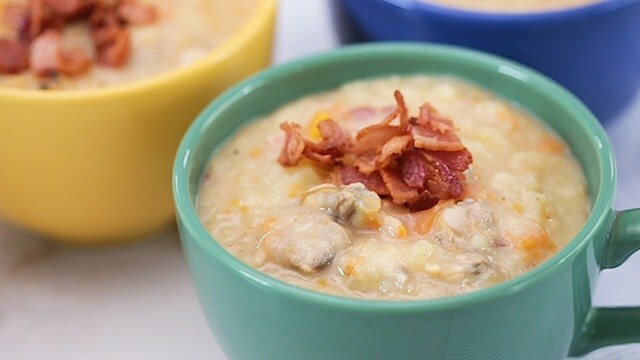 Place a few gulaman cubes of each flavor, spread out, into an 8- by 8-inch square baking pan. Set aside. Make the base: In a saucepan off the heat, combine clear gulaman powder with sugar, water, and milk. Mix to combine. Place over medium heat and bring to a boil, stirring. Remove from heat. Add banana essence, then stir for 3 minutes to slightly cool the mixture before pouring into the prepared pan. (Pour over a spatula to avoid creating bubbles.) Stir the gulaman cubes to allow the milk mixture to set on the bottom. Set aside to cool completely, then chill until ready to serve. 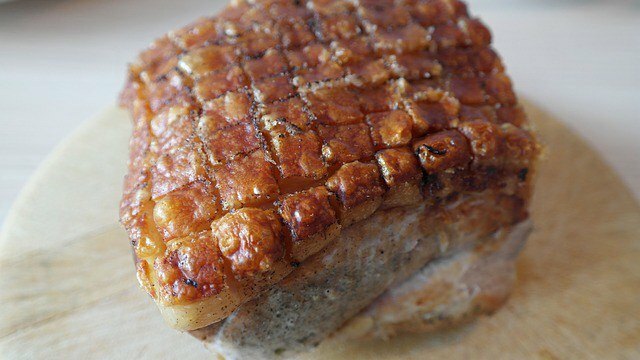 When ready to serve, use a sharp knife to slice into bars. Best served chilled.